For a casual look, opt for a grey coat and a navy denim mini skirt — these two items fit nicely together. On the fence about how to finish off? Complete this ensemble with a pair of black leather ankle boots to kick up the wow factor. 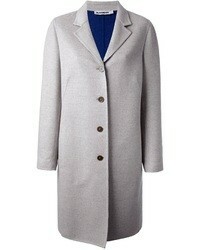 If you're on the lookout for a casual yet stylish outfit, wear a grey coat with a navy denim mini skirt. As well as very comfy, both of these items look great when paired together. 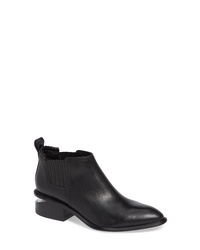 Choose a pair of black leather ankle boots to kick things up to the next level. 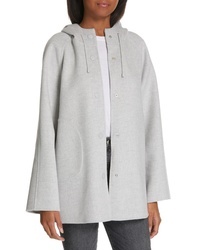 Nordstrom Signature Hooded Double Face Jacket $499 Free US shipping AND returns! 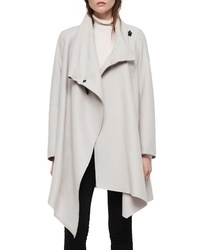 Halogen Asymmetrical Zip Boiled Wool Blend Coat $199 Free US shipping AND returns! 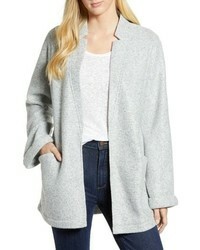 Caslon Novelty Knit Jacket $69 Free US shipping AND returns! 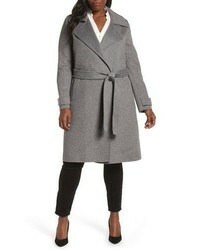 Universal Standard Contrast Wide Lapel Wool Blend Coat $330 Free US shipping AND returns! 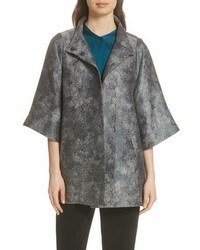 Eileen Fisher Jacquard A Line Jacket $598 Free US shipping AND returns! 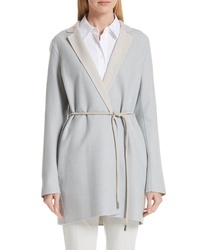 Lafayette 148 Ne... Cranford Reversible Jacket $1,298 Free US shipping AND returns! 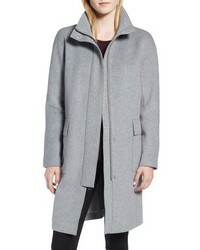 AllSaints City Monut Coat $450 Free US shipping AND returns! 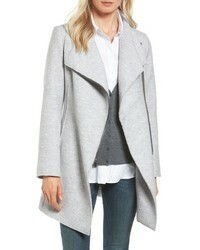 Andrew Marc Ombre Two Button Car Coat $159 $248 Free US shipping AND returns! 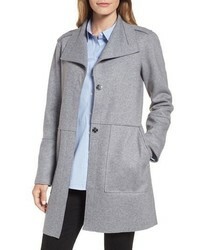 J.Crew Regent Topcoat $194 $350 Free US shipping AND returns! 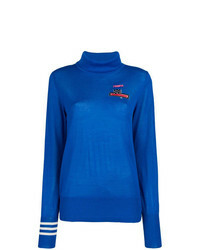 A blue turtleneck and a navy denim mini skirt is a good pairing to impress your crush on a date night. 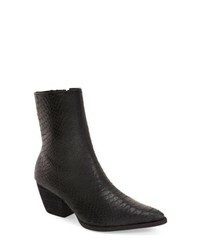 Amp up the cool of your outfit by complementing it with black leather ankle boots. J.Crew 1988 Roll Neck Cotton Sweater $47 $79 Free US shipping AND returns! 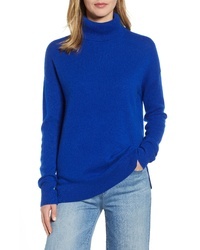 Halogen Cashmere Turtleneck Sweater $66 $99 Free US shipping AND returns! 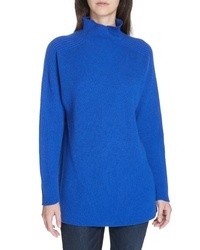 Eileen Fisher Cashmere Funnel Neck Sweater $298 $498 Free US shipping AND returns! 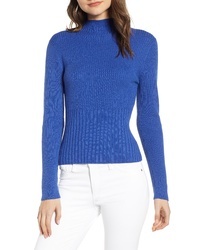 Everleigh Knit Shirttail Turtleneck $49 Free US shipping AND returns! 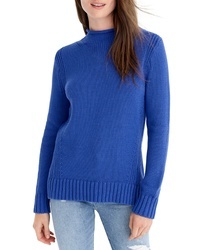 Halogen Funnel Neck Cashmere Sweater $99 Free US shipping AND returns! 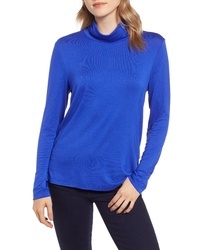 Chelsea28 Ribbed Mock Neck Pullover $69 Free US shipping AND returns! 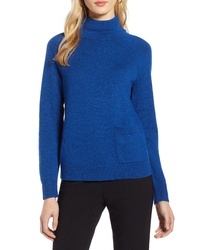 Halogen Mock Neck Pocket Sweater $35 $59 Free US shipping AND returns! 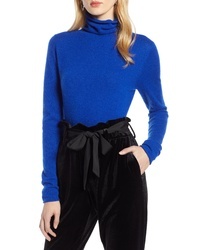 Esteban Cortazar Turtleneck Tear Drop Jumper $359 $1,197 Free US Shipping! 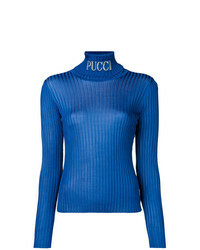 Emilio Pucci Ribbed Sweater $666 Free US Shipping! 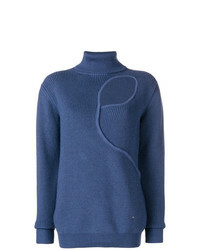 Pierantoniogaspari Roll Neck Jumper $239 $299 Free US Shipping! 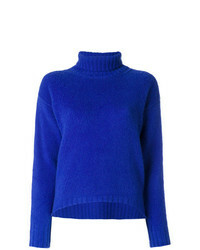 Make a blue turtleneck and a navy denim mini skirt your outfit choice to create a chic, glamorous look. 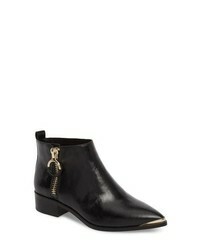 Bump up the cool of your outfit by wearing black leather ankle boots. 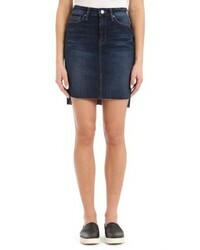 MOTHE R Swooner Exposed Zip Denim Miniskirt $208 Free US shipping AND returns! 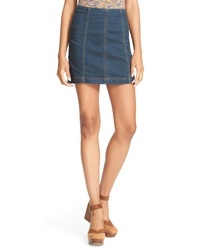 Madewell Reworked Rigid Denim Straight Miniskirt $69 Free US shipping AND returns! 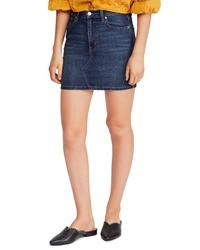 Hudson Jeans The Viper Pierced Cutoff Denim Miniskirt $225 Free US shipping AND returns! 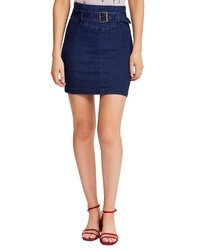 Free People Teagan Denim Miniskirt $68 Free US shipping AND returns! Free People Livin It Up Pencil Skirt $68 Free US shipping AND returns! 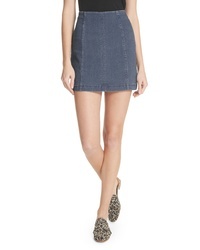 TIGER MIST Mackenzie Denim Miniskirt $75 Free US shipping AND returns! Free People We The Free By Modern Denim Miniskirt $34 $50 Free US shipping AND returns! Free People We The Free By Femme Fatale Stretch Denim Miniskirt $50 Free US shipping AND returns! 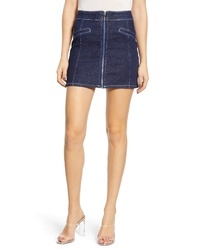 Free People Shes All That Denim Miniskirt $30 $60 Free US shipping AND returns! 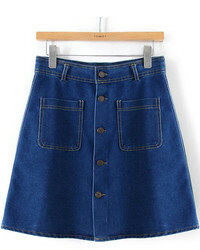 Madewell Straight Step Hem Stretch Denim Skirt $85 Free US shipping AND returns! Mavi Jeans Mila Frayed Denim Skirt $88 Free US shipping AND returns! 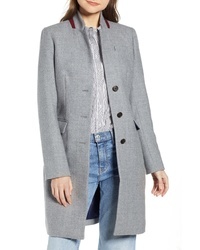 If you're on a mission for a casual yet totaly stylish getup, try pairing a grey coat with a navy denim mini skirt. 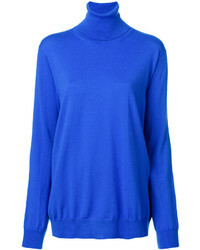 These two garments are very comfy and they will also look great when worn together. 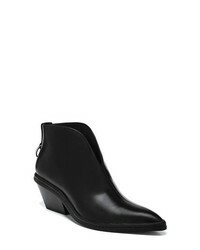 Make black leather ankle boots your footwear choice to take things up a notch. Matisse Caty Western Pointy Toe Bootie $204 Free US shipping AND returns! 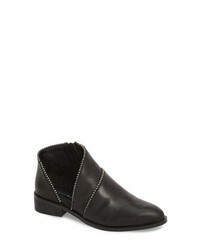 VAGABOND SHOEMAKERS Marja Cap Toe Bootie $175 Free US shipping AND returns! 1 STATE Nead Bootie $74 $149 Free US shipping AND returns! 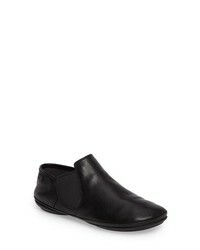 Hush Puppies Spaniel Ankle Bootie $84 $119 Free US shipping AND returns! 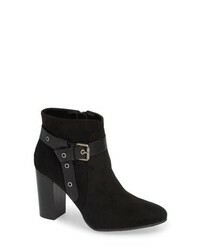 Lane Boots Cahoots Bootie $349 Free US shipping AND returns! 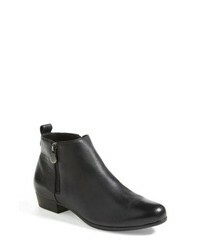 Munro Lexi Boot $224 Free US shipping AND returns! 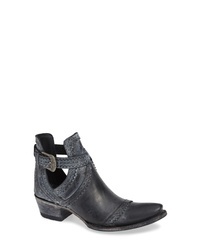 Lucky Brand Prucella Bootie $138 Free US shipping AND returns! 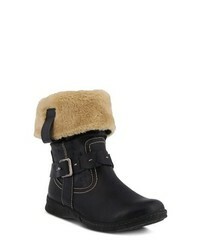 Spring Step Peeta Water Resistant Faux Fur Boot $89 Free US shipping AND returns! Mia Arbela Bootie $49 $79 Free US shipping AND returns! 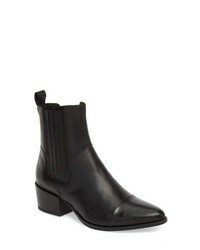 Alexander Wang Kori Boot $595 Free US shipping AND returns! 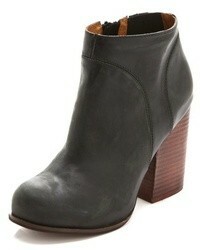 Camper Right Nina Bootie $164 Free US shipping AND returns! Wolford Velvet De Luxe Semi Opaque Tights $49 Free US shipping AND returns! Wolford Matte Opaque Tights $61 Free US shipping AND returns! Commando Ultimate Opaque Control Top Tights $38 Free US shipping AND returns! Commando Eclipse Opaque 110 Denier Tights $40 Free US shipping AND returns! DKNY Opaque Control Top Tights $16 Free US shipping AND returns! Wolford Pure 50 Tights $61 Free US shipping AND returns! Commando Semi Opaque 35 Denier Tights $34 Free US shipping AND returns! Nordstrom Opaque Control Top Tights $15 Free US shipping AND returns! ZEZA B BY HUE Satin 2 Pack Tights $26 Free US shipping AND returns! Falke Pure Matte 100 Opaque Tights $54 Free US shipping AND returns! Commando Up All Night Stay Up Stockings $32 Free US shipping AND returns! Nordstrom Sheer Thigh High Stay Up Stockings $14 Free US shipping AND returns!